Kitchen cabinet refacing has many advantages and is a great solution for many homeowners looking to remodel their kitchen without the mess and disruption of traditional cabinet replacement. Cabinet refacing is the process of reinventing your kitchen cabinets by replacing your cabinet doors and drawers with new ones and installing a 1/4 inch solid core plywood panel on the face frames and end panels. When the process is complete you have a new kitchen complete with new, soft close hardware. The process begins with one of our designers visiting your home to review the options for your project. We’ll bring some door samples and swatches with our 36 custom colors. With our refacing system your design options are almost unlimited but we do have a gallery of our most popular doors for you to choose from. One often overlooked advantage to kitchen cabinet refacing is the reduction in waste that goes to the landfill. Since your existing cabinet boxes stay in place and only your doors and drawer fronts are removed the amount of waste is significantly less. 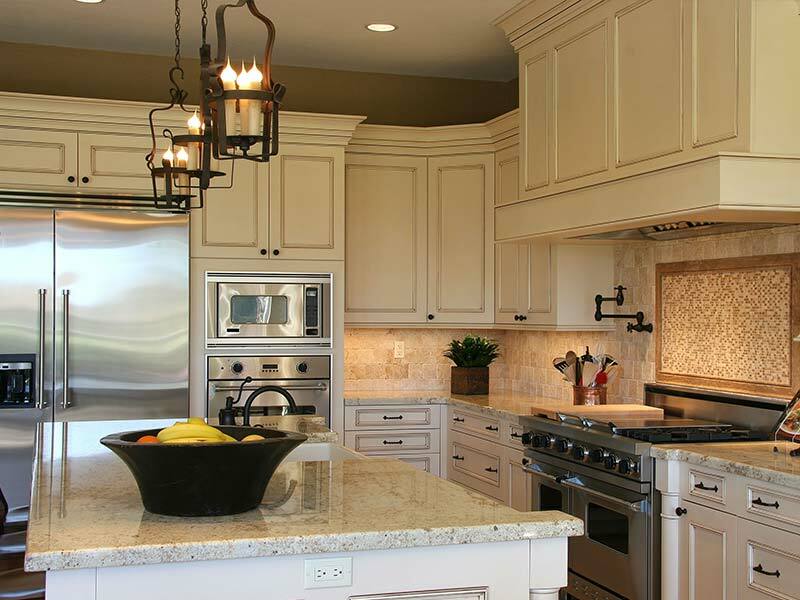 Kitchen cabinet refacing is often 30 to 40 percent less expensive than traditional cabinet replacement. There are a lot of factors to consider however and its best to get an estimate before making any final decisions. Since your existing cabinets stay in place there is very little dust and you can keep using your kitchen throughout the project. Most kitchens projects can be completed in 5 days or less. Your counter tops stay in place.